Without the use of smoke, preservatives, chemicals or high heat. Please store these in a cool temperature. 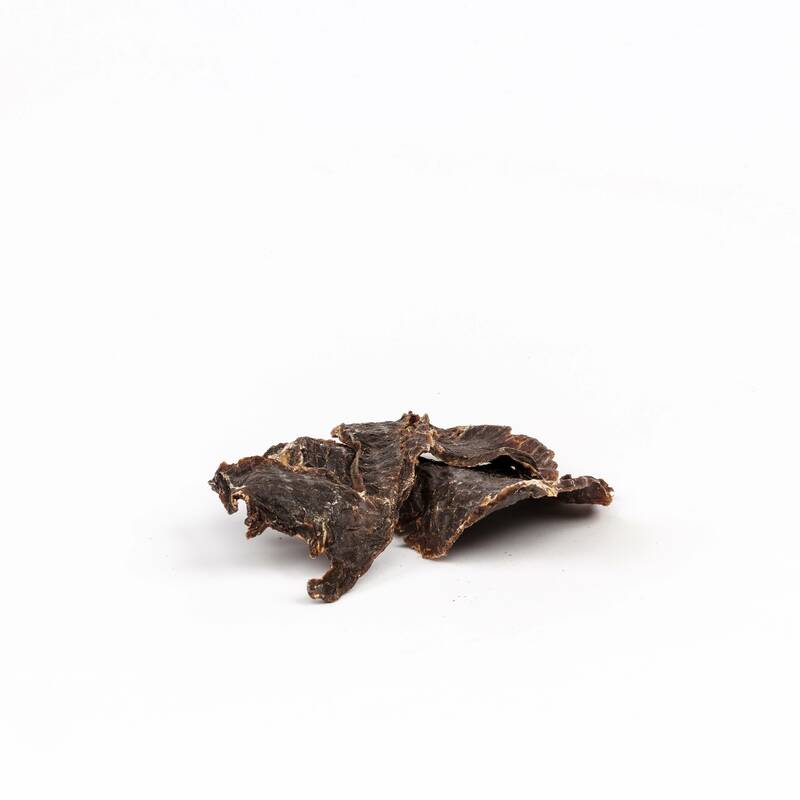 All snacks are raw meat without preservatives. If exposed to heat they may spoil. Can be easily broken into pieces for a great training snack!